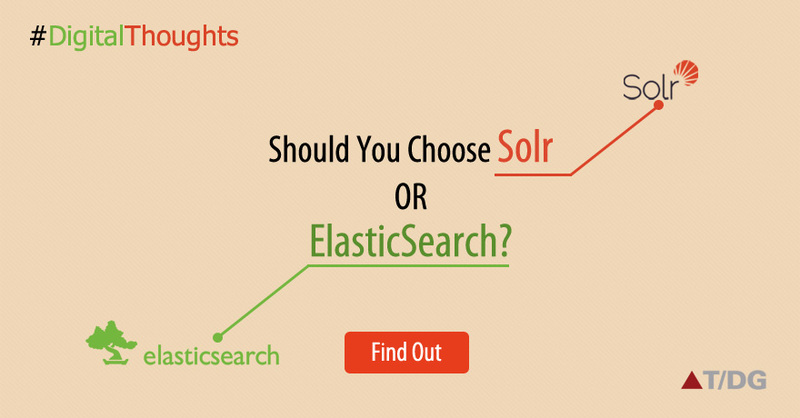 “Which one should I choose, Solr or ElasticSearch?” The question is quite frequently asked by anyone which is building a search engine or learning one of the two. And why shouldn’t they ask, after all both Solr and ElaticSearch are pretty siblings born in the same family of Lucene but graduated from different Schools, namely Apache Software Foundation and Elastic respectively. They have innumerable similarities, as both are powered by Lucene. They build wrapper on top of it, in their own ways and expose their own set of features, which brings in the difference. Instead of getting into depth of things, I would like to explain it with the below image in less than a minute. I would conclude by saying, both the siblings are beautiful, who you want to marry is your personal choice.